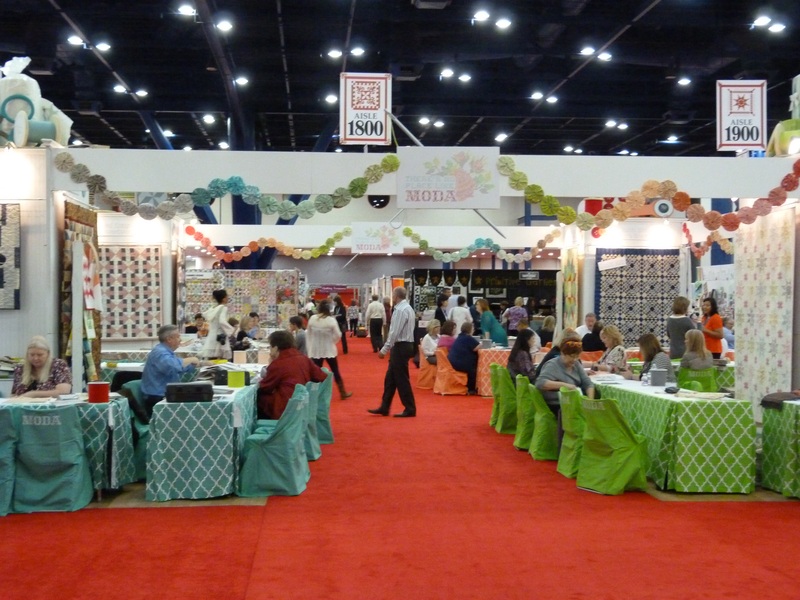 So here I am in Houston, attending Internaional Quilt Market and Festival, loads to see and learn about and even just a little bit of enjoyment!! 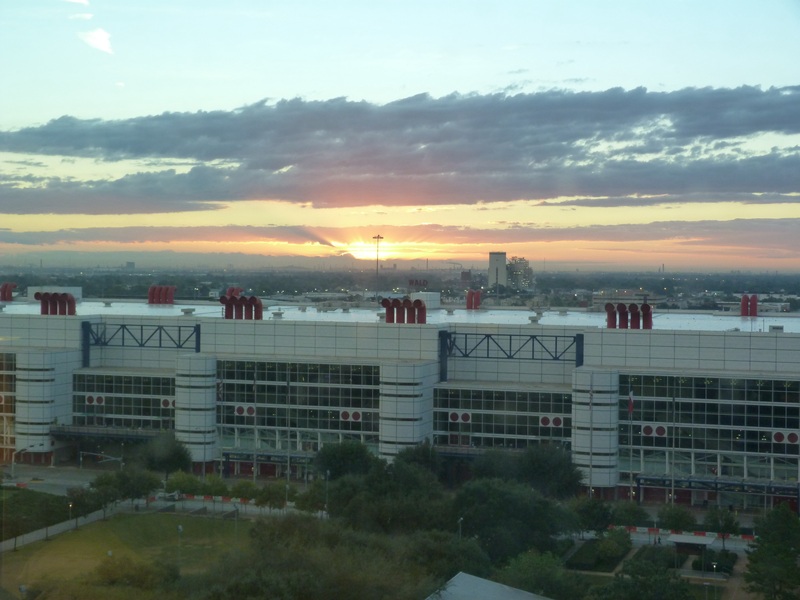 So here is the sunrise this morning from the motel room, the sun is rising behind the convention centre where Market/Festival are held: and here is a photo showing some of the booths at Market (Quilt Market is an industry trade show, so not open to the general public): In fact, Quilt Market is now over so there are a couple of days between the 2 shows, so for some of us a little bit quieter, but classes have already started for Festival. 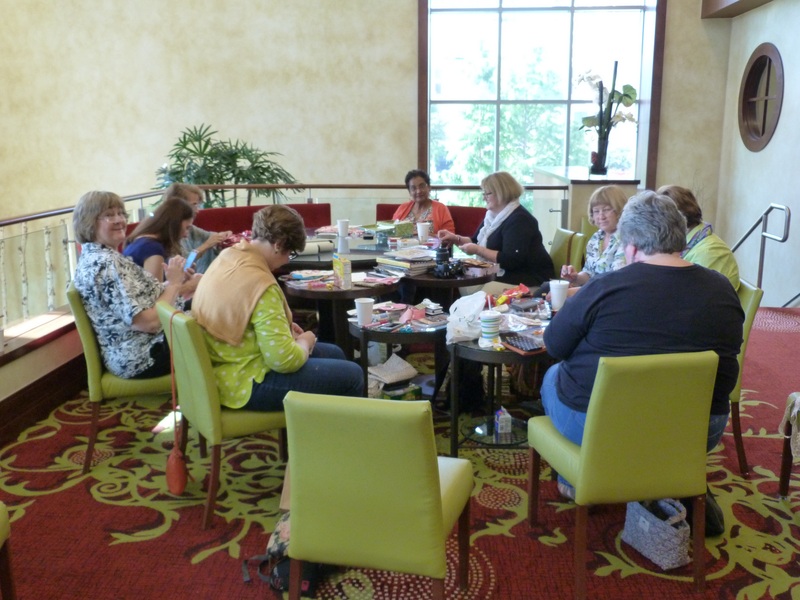 Today I went out for a walk and when I returned to the motel I came across this delightful group of ladies busily patching and quilting! Quilt Festival, with all the booths and exhibitions, opens on Thursday, so for me another quieter day tomorrow, then the fun really starts!